"CVi-118S 18"" Passive Portable PA Speaker". "Cerwin-Vega made its bones on bass. Big, bumping bass, back before bass was ever called bumping. The CV identity is awash in bass. Big, beautiful bass. 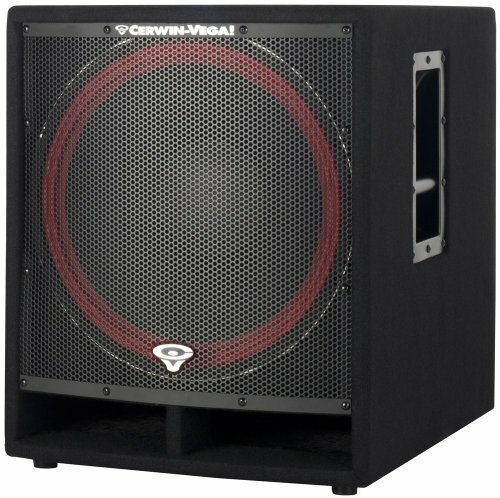 The CVi-118S is a portable, eighteen inch dedicated subwoofer system designed to extend and supplement the low frequency extension of full range systems in live music and playback applications. The CVi-118S features a high power, cast frame eighteen inch transducer with a 3"" voice coil for extended use during high SPL applications. Steel handles and pole mount cup are also featured for use as a base for pole mounted full range systems. The CV1-118S is at home in portable live sound PA DJ applications, aditorium installations, drum monitor sub Clubs Outdoor stages"